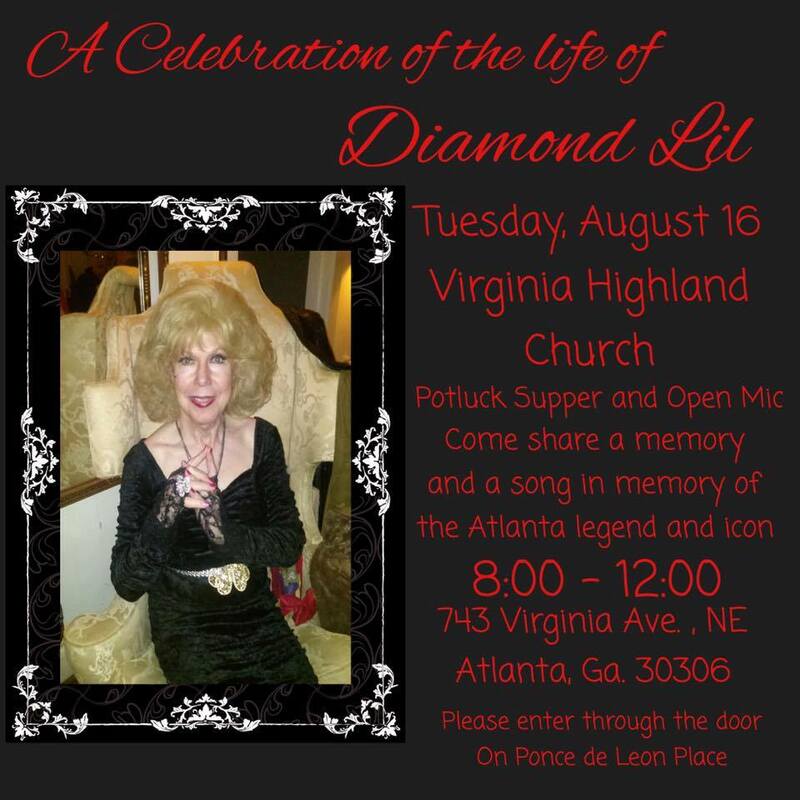 There will be a night of singing, good food and good times in honor of Diamond Lil tomorrow night (Tuesday, August 16) from 8-12 pm at the Virginia-Highland Church. There will be a potluck supper and an open mic. The public is invited to come share a story and a song in memory of the Atlanta legend and icon. See flyer below for additional details. Here’s a link to a Georgia Voice article on Diamond Lil’s recent demise.